Nice Farms will be there with peaches, Plums, Nectarines, Pears, and Apples as well as their own beef and pork, maple syrup and maple products. 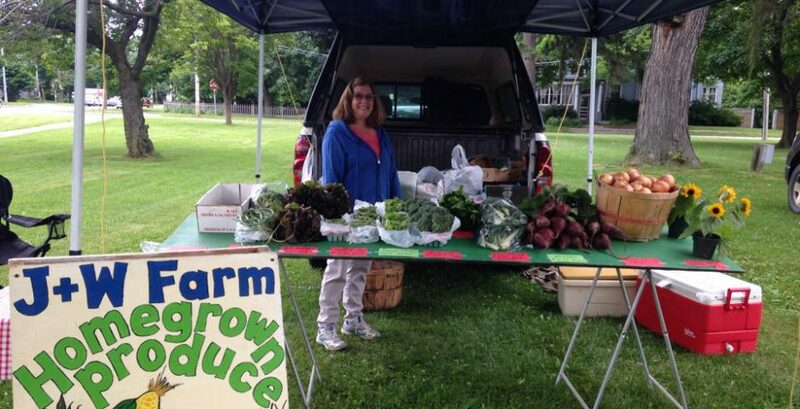 J&W Farms will be there with Sweet corn, tomatoes, spaghetti squash, butternut and acorn. Also green beans, sweet red onions, eggplant and bell peppers. Mellander Maple, Opies Gifts, Dave the Honey Guy, Mackenzie Farm, Glen Haven Farm, Peg’s Produce and GAMS Bakery will all be there and with hot coffee on what we expect to be a chilly morning!